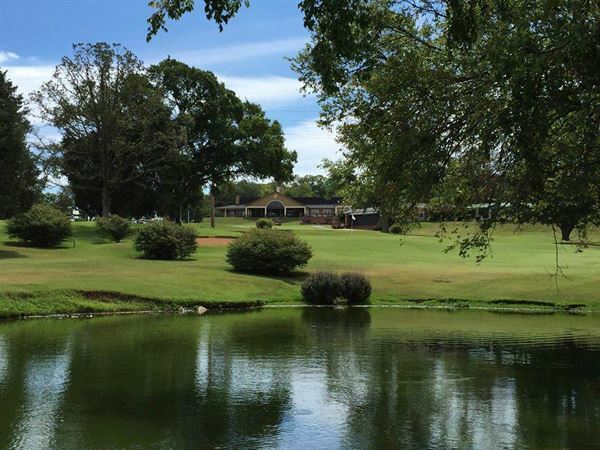 Bowling Green Country Club is a beautiful setting with private rooms that can accommodate groups of 10 to 150. It is the perfect destination for rehearsal dinners, wedding receptions, banquet dinners, and more! Our ACF Certified Chefs can customize a menu to fit your specific needs, whether it’s a cocktail party with light appetizers, a food station buffet, or a plated event, Chef Jarrad guarantees both the food and presentation will be exquisite. We are committed to ensuring that your special event reflects the elegance and quality you expect. Members receive rental rooms at no charge! The Conundrum Ballroom is a unique event space suitable for a full range of occasions. Our staff goes above and beyond to make every event truly unique. We are happy to arrange customized layouts that are designed to maximize your memories. Let's chat about limitless possibilities!